Each patient attending the Beacon Dental clinic is comprehensively assessed taking into account their presenting problem, symptoms, and their existing dental arrangement (condition of their teeth, gums, and overall jaw function). The outcome of this detailed examination is to identify problems and potential treatment options to address any issues encountered. 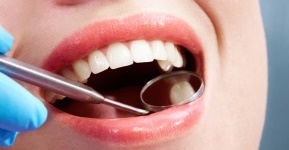 You will also be screened for the presence of any other oral disease, including mouth cancer. Initial examinations are between 30 and 45 minutes including a review of your medical and dental histories and will consist of a range of diagnostic information being gathered. Comprehensive mouth and facial investigations to include examination of your face and jaws, your gum health, the condition of individual teeth and the bite relationship between the upper and lower teeth. 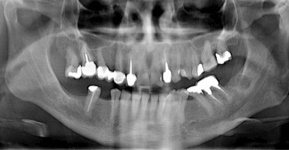 X-Ray images are made of individual teeth and a screening full panoramic OPG extra-oral view of your jaws and facial structures, Where appropriate further investigation with Cone Bean CT will be prescribed for diagnosis and planning will be scheduled. 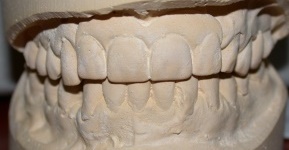 Dental impressions are generally taken from which replica models of your teeth are made. These are termed Study Models and can be subsequently examined for evaluation of current conditions and treatment options in between your assessment appointments. You have a full discussion with the dental specialist at this appointment. A written report is posted/emailed to you following the second appointment, with all the details of cost and appointment times required to complete the proposed dental treatment. The cost of the full dental assessment, including two appointments and a comprehensive individual report is €160- €240 (when full X-ray investigations are required). It is helpful, but not always essential, if you have been referred by your dentist or doctor and have had recent x-ray or other investigations completed, to bring copies to your consultation appointment.